Welcome to the UCSC Graduate Division and to our vibrant campus community of scholars. I have been affiliated with this campus since 1992, as a faculty member in the Economics department, and I am excited to be in this new role of Grad Dean to continue building academic excellence in graduate education. UC Santa Cruz seeks to train graduate students and post-doctoral scholars who will be ready to address global challenges and equipped to be leaders in their fields. The campus has set a goal of growing our graduate student body in the coming years, while enhancing its quality and diversity and expanding its successes. We are committed to ensuring all students are well-supported and able to succeed. UCSC’s commitment to our students is seen in programs such as Graduate Horizons, which provides professional development opportunities for all graduate students, in partnership with a number of campus support units. This commitment to the professional development of our students is seen in our faculty too. UC Santa Cruz has always been known for the quality of its teaching and the accessibility of its faculty. 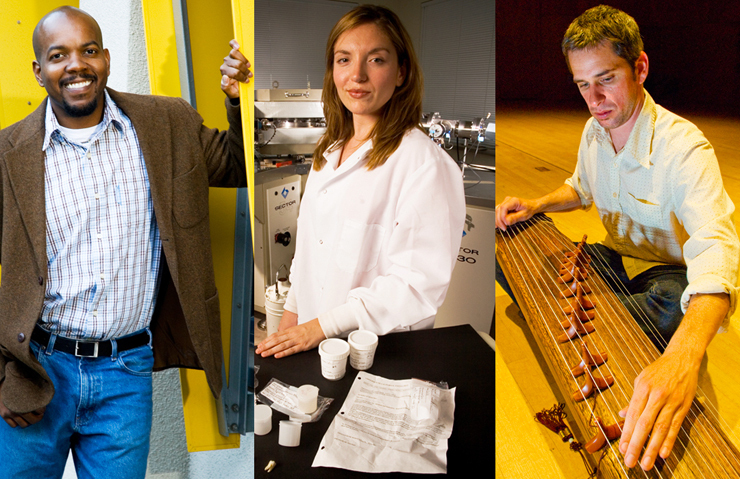 UC Santa Cruz is an innovative, engaged and world-class public research university. We are looking for graduate students who are passionate about learning and creating knowledge. If you are a prospective student, I invite you to explore the possibilities and see how UC Santa Cruz can inspire you to make a difference. If you have questions about a specific degree program, I encourage you to contact the academic department directly and inquire with staff and faculty there. We would love to hear from you and encourage you to connect with the Graduate Division. Please let us know how we can best serve our many important constituents - we look forward to hearing from you. UC Santa Cruz is deeply committed to recruiting and supporting a diverse graduate student community. The Graduate Division seeks to be a catalyst for the development of scholarship, leadership, and professional skills of graduate students from every background. The University has a compelling interest in making sure that people from all backgrounds are aware that access to the University is possible for talented students from all groups, and recognizes that graduate education may be unfamiliar to many students. We aim to provide resources to acquaint all students with our academic culture, and support their development as career professionals. The varied interests, range of life experiences, social, religious and ethnic backgrounds, and more in our graduate population are essential to promoting the lively intellectual exchange and advanced research that strengthen the foundation of our campus community. UC Santa Cruz is a dynamic place where people from different walks of life come together to explore, discover and contribute new knowledge, leading to careers and lives of meaning, purpose, and impact.